Well after being quiet for a while since we updated the site so here is where we are up to at the moment. Pictures of the cars will follow soon. The last update showed the van sides and roof bolted in place. 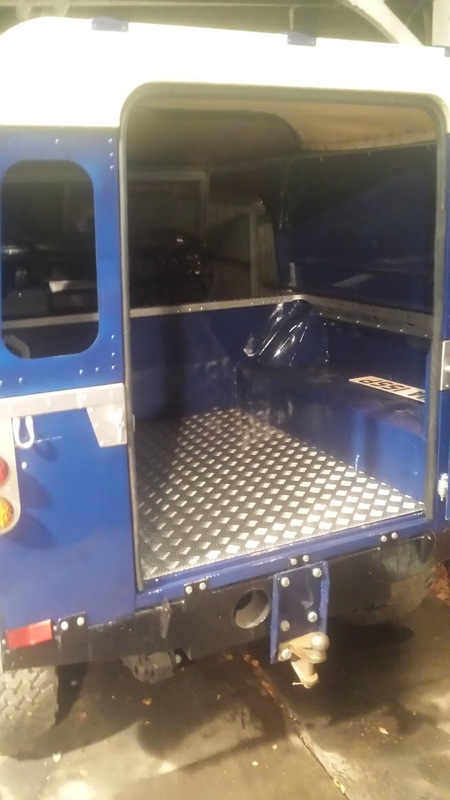 Since then we have fixed the inner sills and seat box in place, offered up the floor panels for a fit. We have also replaced the carb that was originally on the car as when it ran there was a terrible misfire, we now put this down to an assumption the rotor arm moved one direction where it actually went the other so the ignition was only right on 2 cylinders. With the running sorted we have actually had a short drive around and the engine seems to run very nicely indeed. Hopefully will add a video to show this soon. The bonnet has now been rubbed down and ready to paint, with the wings to follow. Not much has happened for now with the car still gently running it in driving most days. We ventured on a 2 hour drive out to Betws-Y-Coed to watch the Cambrian rally in the middle of October, on the way home the car cut out with a diesel leak, eventually we got it home. On the Sunday after the cause turned out to be the Fuel lift pump, as we revved the engine a mist was seen coming out the bulkhead side. This was replaced and has run fine since. That was until today, where got in it this morning and it wouldn’t turn over. Not sure what the issue is at present but will be looking in to it. Well progress on this car has moved on a bit now. Body panels have been repaired painted and refitted, the rear electrics have been fitted. A set of standard lamps had been fitted but as the owner turned 21 our birthday present to him was a set of wipac LED lamps for front and back. The issue this has now caused is the need to change from a 2 pin flasher relay to a 4 pin set up. The hope is to have the car rebuilt and in for MOT by the end of November. 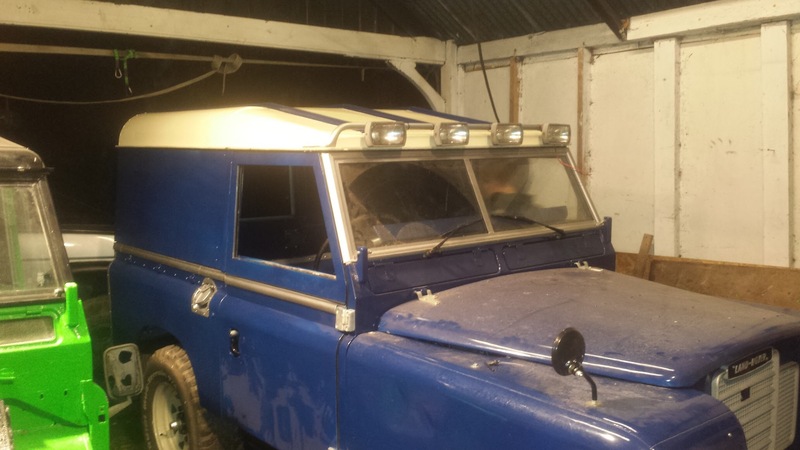 This entry was posted in 1966 Series 2, 1977 Series 2, 1983 Ninety, Bodywork, Electrical, Electrics, Fuel System, Painting and tagged 1966 Series 2, 1977 Series 2, 1983 Ninety, Land Rover, lights, mot, painting, Progress, rebuild, Wirral on November 4, 2014 by landyrebuilds.